Thank you for submitting a review on your experience with 50 Floor. 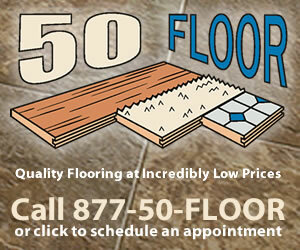 We truly appreciate you choosing 50 Floor for your flooring needs. When this matter occurred in the year of 2013, 50 Floor moved quickly to address your concerns. In speaking with you on 02/20/17 and 02/21/17, we advised that the best way to take care of your flooring matter would be to involve you homeowner's insurance. With time lapse, we have no true way to determine the cause of the mold as we immediately in the year of 2013 hired a plumber twice and replaced the damaged flooring. We will be more than happy to discuss with your homeowner’s insurance this flooring matter should they need to speak with us directly. Our next step is getting a lawyer. 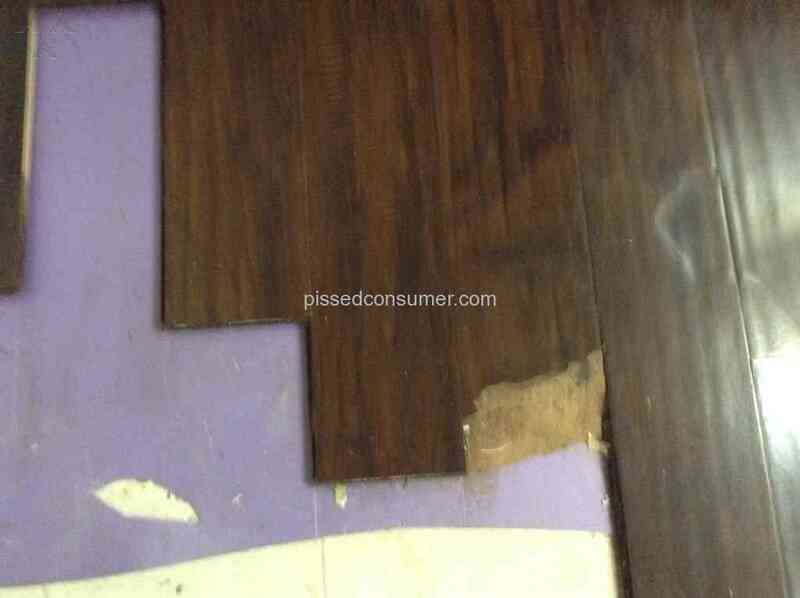 We had their high end wood laminate installed in our bathroom, kitchen, and den. Install went fine. A few days after install we noticed water around the base of the toilet they had reinstalled. I contacted quality control and then management and was told someone would get right back to me. After one week a manager called and I explained the problem. I was told to document it and send photos. Which I did. I received an email that they would review it and get back to me. Days passed. Meanwhile the water underneath the flooring had warped the floors and a mildew smell had become obvious. They finally got back to me and arranged for someone to come out do the repair and reinstall the toilet. ( please see story on Yelp and all other media channels) A different installer from the first crew arrived I explained the problem and he went to work. I walked a couple of doors down to a neighbors while he did the repair and install. I received a call that he was finished and met him leaving in the driveway. He left and I went in to inspect the job. He had installed the wrong color flooring in the bathroom not even close and lighter than the dark pecan we had installed. I immediately contacted management. I was told to document it and send pictures. Really. Ok well I did that again. 3 days later I received a call scheduling another install. A different guy arrived. He had the right flooring this time did the repair and reinstalls the toilet. I explained that the mold smell has not subsided as I was told by management that it would. He said to contact 50 floor . I did. Nothing we can do about that I was told. Not 4 days later we noticed water around the base of the toilet again. I recon tactic management and was told, you guessed it, document it and send photos and someone would get back to you. A week passed and finally someone got back me. I explained that the floor had warped again and that mold had now gotten up into the walls and all of the base board were ruined and that mold is a serious problem as I have small kids. I was told that I needed to get a plumber. I would have thought they would have handled all of that and I was also to,d that they would split the cost of the reinstall and plumber. I couldn't believe my ears. I took it even farther and contacted upper management. Almost a month went by and the mold smell continued to grow. They finally had the repair done and paid for a plumber. But the damage has been done to the home and the constant smell of mold and mildew is pungent. Well here we are still a year plus later the problem never was resolved, they basically told me to go screw myself and now I. Stuck having to pursue legal council because they could do right by their customer. I live in a fairly nice neighborhood and other people were considering using them until my neighbors saw and heard what was going on. Buyer beware. They are horrible at problem resolution, they are a mass producer and problems get shuffled under the rug and they do thing on their schedule not yours. Use home advisors and fund a private company. Close to the same pricing and the private company actually cares. I didn't like: See review and yelp pages. Review #1008724 is a subjective opinion of mdhancockga. They shouldn't be able to get away with leaving a job in this condition and putting people in harms way.